Battle of the Beadsmith, that is. I've been working on my piece for the Battle of the Beadsmith this last week, while I was on vacation from work. 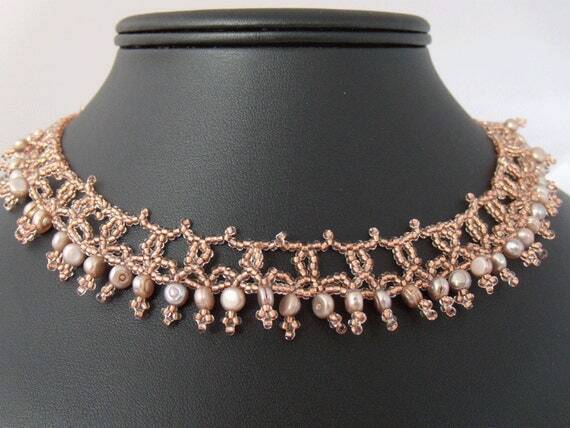 I've been swinging back and forth on my opinion of this new design that I'm creating for the Battle of the Beadsmith. At first, I was absolutely giddy with delight when my experiments worked out. (And I'd love to show you some of those experiments, but alas, I have to keep this whole thing a secret until after July 10!) Then I sat down and started to create the actual piece, and as I worked, a whole slew of little self-doubts kept creeping to the surface. No, this is never going to work, I thought. Oh, hush, it's a brilliant idea! No, really, this is STUPID. How are you going to finish this? It'll never work. Your spacing is all wrong! Yeah, but I've never seen anything like this before - what if it's the first of its kind? Now, here's the thing. This "battle" is supposed to be bloodless, right? But after spending all of last week working on my new piece for this competition, I am now wearing bandages on three out of five fingers on my right hand. 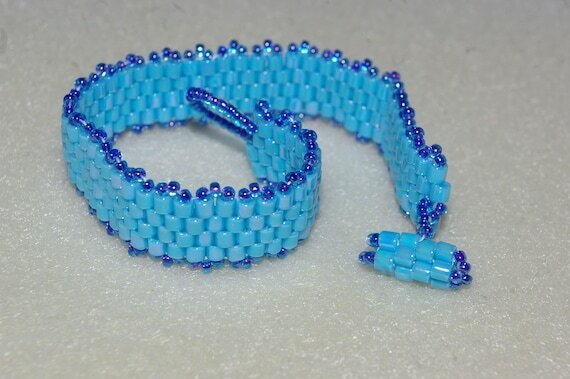 To construct this piece, I've been calling upon my mediocre shaped peyote stitch skills, and trying to keep my beading thread tension consistent has resulted in several cuts across my fingers where the thread repeatedly rubs against my skin. Ouch, ouch, ouch. I'm happy to say that I've made excellent progress in Phase I of the piece, and I so wish I could show it off to everyone! But, the rules of the competition are that I need to keep this piece a secret. 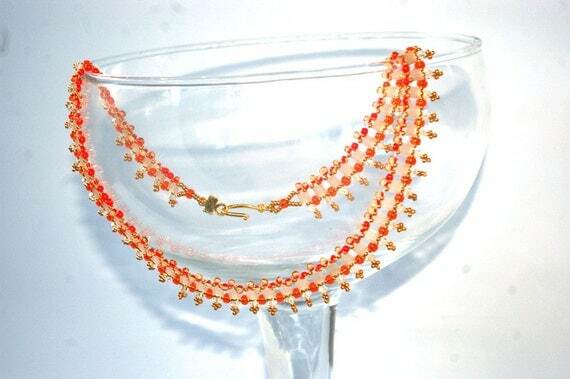 So all I can tell you is that so far, I've used up twenty grams of size 11 seed beads, and about fifteen grams of size 8s. I'm anxiously awaiting the arrival of more size 8s before I pick the piece up and finish it, and meanwhile, I'm sourcing out other unique components. I'm dying to share the inspiration behind this piece, the techniques that I'm using, and my initial experiments that led me to create it. But alas, I'll have to save all those for future blogs after I've turned in my submission and the Battle begins! Meanwhile, today is a grey, wet, cold Monday morning. I had last week off from work, and I kept telling myself that I'd get things done during that week, but no. The week just flew past, and here we are again, Monday morning, back at work, with a ginormous to-do list. Could be worse, I know, but my fingers are itching to get back to the beads later today. 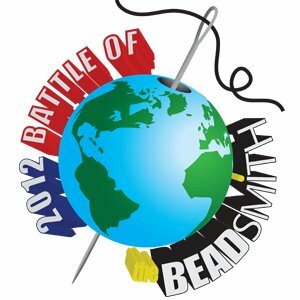 If you're so inclined, head on over to the Battle of the Beadsmith group on Facebook and join so you can watch the fun!